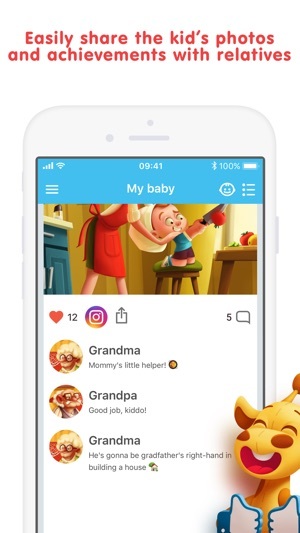 The App includes lots of tasks for parents to assist them in their kids comprehensive development: intellectual and physical development, socialization, emotional sphere, etc. The tasks are given individually according to the child age. You will manage to save the report on the tasks execution, and then in a while reminisce your kid early childhood development with tender emotions. Photos of your little one's first events, height and weight graphics, lists of favorite toys and fairy tales… All these and even much more will be kept in the colorful keepsake journal of your child. 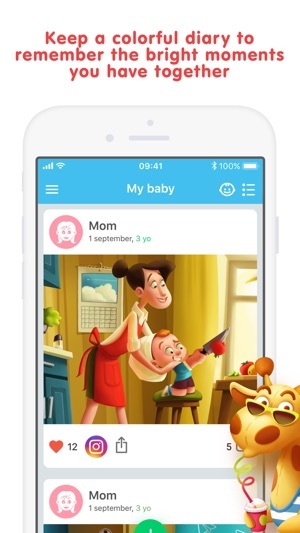 Create the journal by the whole family, each on their own phone, and then share interesting moments of your child development with relatives and close friends! 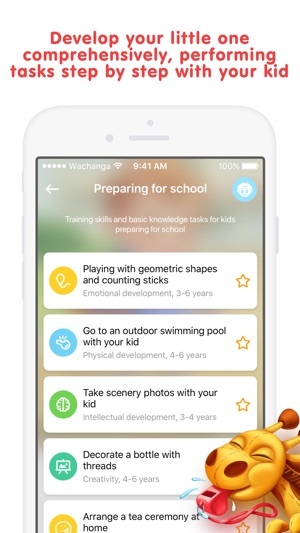 • Timeline – post notes about interesting moments of your kid's development, add appropriate photos. • Metrics – fix your kid's height and weight as often as you can to get graphics, pretty colorful lines and recommendations for physical development. • Tasks - are specially issued assignments for you nd your child. Executing the tasks with your little one, you'll help him to acquire new knowledge and skills. Improve your parental level! 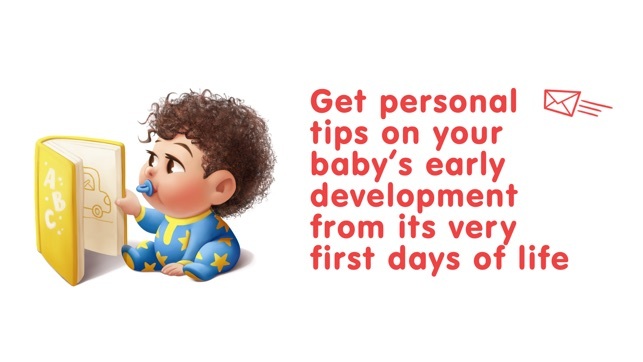 • Forms – answer the questions in the thematic forms to keep your little one's important development periods. • Relatives – a list of your relatives and friends in Wachanga. You will never forget their kids names and miss their birthdays. • News – be aware of your friends' kids development! - Some minor updates to further improve the application. 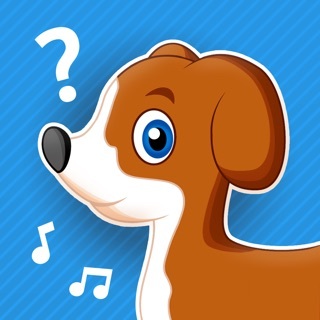 Best app for my kids! Очень отлично;) спасибо разрабам!